The Thanksgiving dinner we know today is much different from the original 1621 feast. Thanksgiving dinner is my favorite meal of the year. I love the turkey with cranberry sauce, the mashed yams with marshmallows, the roasted veggies, the cornbread... There is just so much good food and so much of it! But have you ever wondered why we eat the things we do on Thanksgiving? Turkey probably wasn't actually eaten by the pilgrims and Native Americans at the famous three-day feast in 1621. Historians believe that venison was most likely the main course. However, when Thanksgiving Day was declared a national holiday by Abraham Lincoln in 1863, turkeys were native to North America and a popular way to feed a lot of people at one time. 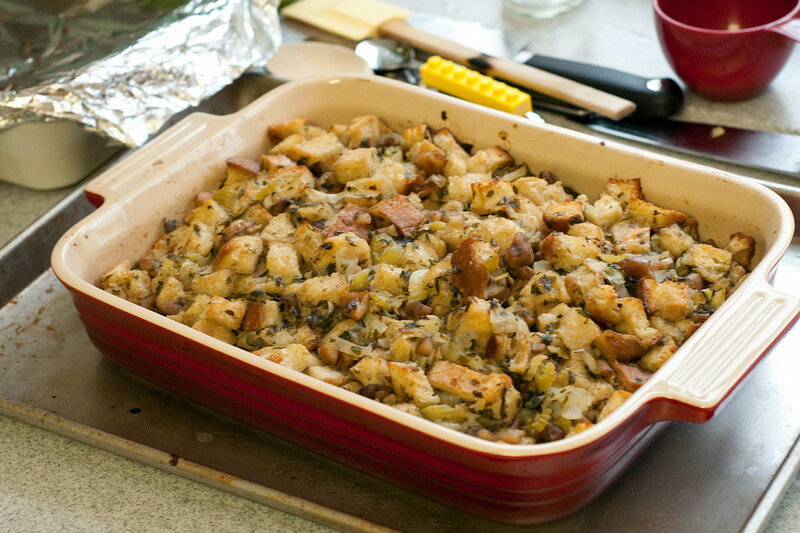 Originally, stuffing didn't come from a box. Stuffing birds really dates back to the Aztec communities stuffing them with spicy chili peppers. European explorers observed this practice and, by the 1500s, it was a common Christmas dinner tradition to serve a stuffed turkey in Western Europe. It was the best way to get the most out of the turkey. The use of natural juices to fluff up the bread filling meant being able to feed more people and get more calories. In historic times, people needed every calorie they could get with food not being as readily available as it is today. When the European immigrants came to America, they brought the practice of stuffing turkeys with them! Like turkey, potatoes were not part of the original Thanksgiving feast but were a popular food at the time Thanksgiving Day was declared a holiday. Potatoes were brought over to North America by Scottish and Irish immigrants in the early 1700s. They were first grown in New Hampshire in 1716 but spread all the way to Idaho, the most abundant potato state, by the 1840s. Corn was a staple in the Native American diet and plentiful in North America during the 17th century. 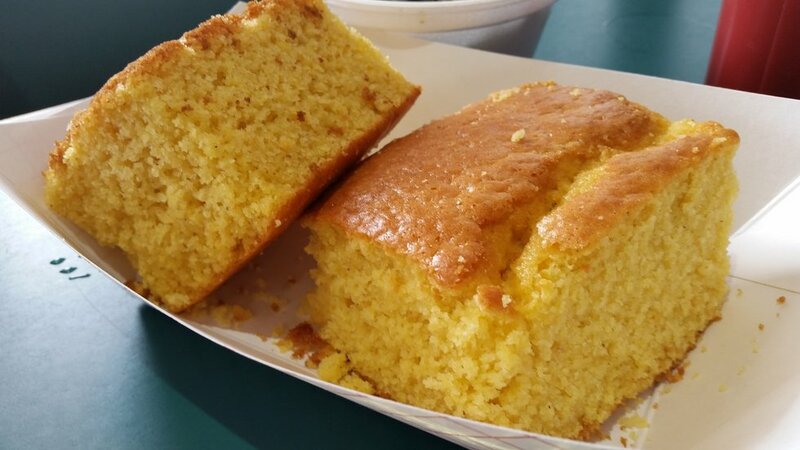 It is believed that corn was eaten at the first Thanksgiving feast but would have been more like a corn pudding than a cornbread. Cranberries are native to North America and are in season right around Thanksgiving. They were very important to Native American communities in North America, being used as fabric dyes, medicines, and a food source. Historians believe that it is highly likely that cranberries were in fact shared by the pilgrims and Native Americans due to there abundance in the fall season! Beans were another staple in the Native American diet. It is very likely they too could have eaten green beans with the pilgrims in 1621. 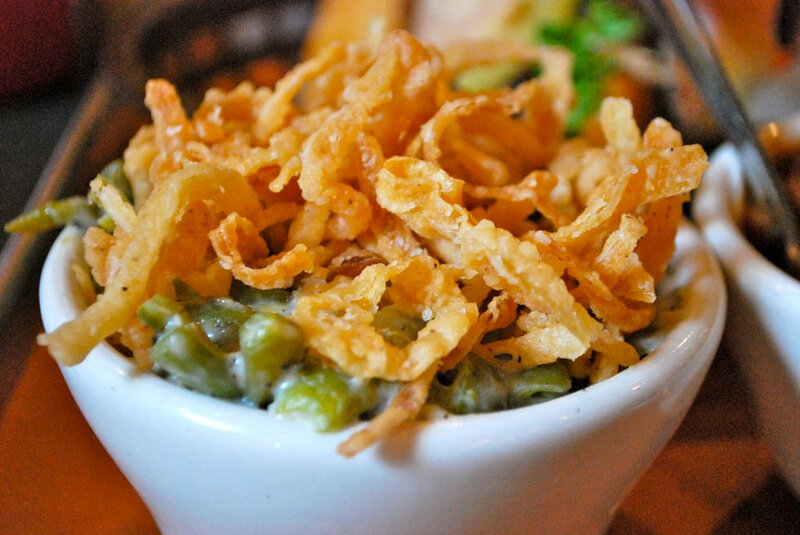 Green bean casserole, however, is a modern preparation of green beans that became popular with the rise of prepared frozen, packaged, and canned foods in the 1950s. Pumpkins were definitely available in 1621, but most likely they were not prepared in pie form. The settlers would have to know how to make a pie, but the butter and pie crust ingredients needed would not have been available to them. Pumpkin and other types of squash may have been roasted over a fire or perhaps filled with a custard. Pumpkin pie became the modern tradition when magazine editor Sarah Josepha Hale attempted to set an ideal Thanksgiving dinner tradition with the Lincolns' declaration of the holiday in 1863. Just like regular potatoes, sweet potatoes were not available in North America in the 17th century. Sweet potatoes originated in South and Central America. They did not make it to North America until the 18th century. At the time of Lincoln's Thanksgiving Day declaration, candied sweet potatoes were a popular American dish, thus quickly becoming a traditional Thanksgiving food. 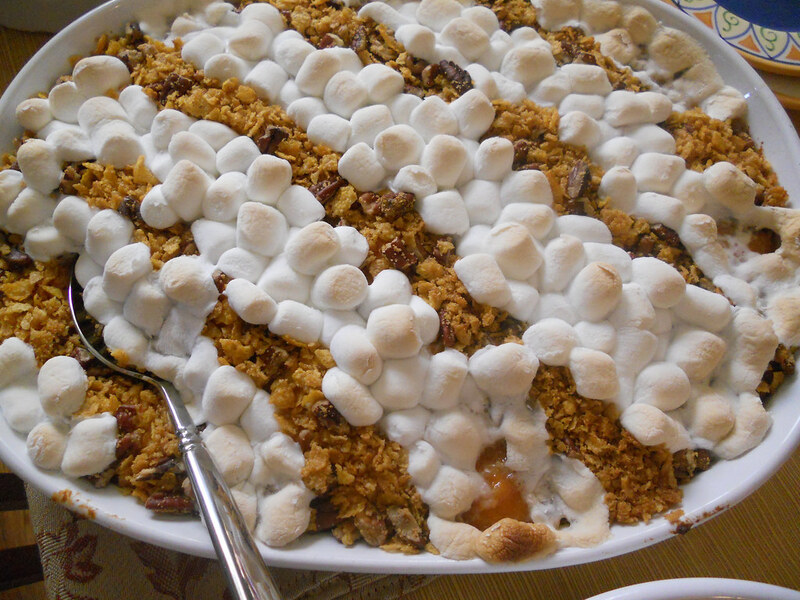 Mashed yams with marshmallows specifically dates back to 1919 in a recipe published by the Barrett Company. Gravy is another means of using the whole bird. Turkey remains were boiled in a pot and the water was thickened with ground grains to make cornbread. The pilgrims and Indians did not drink wine at the first Thanksgiving. It is believed that they drank beer made from pumpkin and parsnips or fermented apple juice, also known as hard cider. 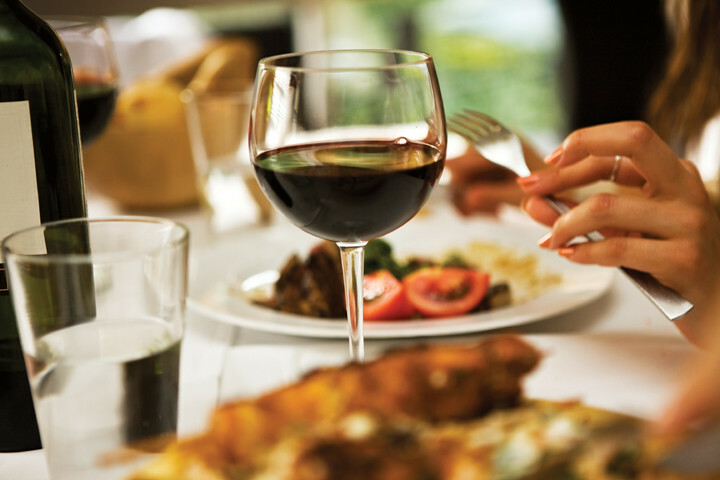 Where the wine tradition came from most likely has something to do with its rise to popularity and sophisticated status. But if you want to be more traditional, I suggest getting yourself an Angry Orchard or Pumpkin Ale! Give thanks to the Lord, for he is good; his love endures forever. And let the peace of Christ rule in your hearts, to which indeed you were called in one body. And be thankful. Let the word of Christ dwell in you richly, teaching and admonishing one another in all wisdom, singing psalms and hymns and spiritual songs, with thankfulness in your hearts to God. And whatever you do, in word or deed, do everything in the name of the Lord Jesus, giving thanks to God the Father through him. Do not be anxious about anything, but in everything by prayer and supplication with thanksgiving let your requests be made known to God. That my glory may sing your praise and not be silent. O Lord my God, I will give thanks to you forever! And you will say in that day: “Give thanks to the Lord, call upon his name, make known his deeds among the peoples, proclaim that his name is exalted. “Sing praises to the Lord, for he has done gloriously; let this be made known in all the earth. Therefore, since we receive a kingdom which cannot be shaken, let us show gratitude, by which we may offer to God an acceptable service with reverence and awe; for our God is a consuming fire. But I will sacrifice to You With the voice of thanksgiving. That which I have vowed I will pay Salvation is from the Lord." For everything created by God is good, and nothing is to be rejected, if it is received with gratitude; for it is sanctified by means of the word of God and prayer. The Lord is my strength and my shield; My heart trusts in Him, and I am helped; Therefore my heart exults, And with my song I shall thank Him. Enter His gates with thanksgiving, And His courts with praise. Give thanks to Him; bless His name. Am I The Only Person Who Hates Thanksgiving? Thanksgiving is a beautiful, unique and American holiday. Thanksgiving is about food, about family, but especially is about being thankful. I know, we spend a lot of our time complaining about several things, our job, our professor, our boss, our partner, our family, ourselves, our politicians, our favorite artist, our car and much more. 1. Our family. Even if you don’t like them, they made you like you are. 2. To be alive. You may not like your life, but it is an opportunity. 3. To live in the US. Have you seen all the people in the world who want to live here? The US is a country full of opportunities. 4. Our jobs. I don’t like mine either, but it pays my bill, and it reminds me I can do something better. 5. Our schools/colleges/universities. We are so lucky because we have the chance to study. 6. To vote. It took thousands of years to get the right to vote and chose our representatives, governors, presidents, senator and others (if you’re a woman or part of a minority you must be more thankful). 8. For our favorite TV shows. We are living in the golden age of TV; we are so lucky (and we have TV Reboots & Revivals). 9. We can dream. We can change our lives; we can choose our destiny. Half of the people in the world do not have that chance. 10. For love. It does not matter if you have a partner or you don’t; enjoy the fact you have your stories and you will have more. 11. For babies, puppies, cats and dogs. What would we do with all those hours watching their videos on Youtube? 12. Free sexuality. We are living in the time where you can be anything you want, and you can love anybody you want. Just think, fifty years ago, we were prisoners of society. 13. “Game of Thrones” is back in April 2019. We have been waiting too long. 14. For books. Reading makes us better people. 15. For Instagram. Food never was more important than now. IG is the best way to know how our celebrities’ lives are. 16. For our friends. I cannot imagine my life without my friends; they are my rock and the best support in the worse moments. 17. For Netflix. How did we spend our Sundays before? 18. We are the last generation who can handle climate change and save the world. 20. For your kids. I am talking about your own, your nephews, nieces, siblings, godchildren, step kids, even your neighbors. 21. For alcohol and all the good memories (and really bad decisions), it made us have. 22. Freedom of the press. Today more than any other time we must be thankful about freedom of the press (and we must protect it). 23. For our health. Even if you are not completely healthy, you are in the era where medicine is available and improving every second. 24. For #Metoo movement. Finally, we can share our experiences and stop them for the next generations. 25. For traveling. You can go to Australia, Madagascar, France or Chile if you want. There are no limits. 27. For second chances. We all need them in all the moments of our lives. 28. For food. Because it makes our lives better and delicious. 29. For memes. Now each picture has a huge potential to be famous. 30. For God or the Gods. Be thankful because you have somebody who listens to your prays. 31. For the Future. Because we can make it. 32. For the past. Because it is our history. 33. For the present. We are living the best of all the times. Today, most of the social movements have had important advances. It is easier to be a woman, a minority, a refugee, an immigrant or have a disability. Yes, probably I am missing some important motives to be thankful which means there are dozens of more reasons. By the way, Happy Thanksgiving!